I’ve been antic­i­pat­ing this weekend’s première of Upstate Obscura for some time. The piece (a cello concerto written for Inbal Segev and Metrop­o­lis Ensemble) has been in some stage of the working process since 2014, when Inbal first asked me about writing it. I set her up with Metrop­o­lis (who are old friends, having commis­sioned no less than three pieces) and then we all arrived at the Metro­pol­i­tan Museum, where I settled on writing a piece about John Vanderlyn’s Versailles panorama (detail above) which occupies its own room in the American Wing. The question of what consti­tutes “Amer­i­can­ness” in art has long inter­ested me. It’s a somewhat self-serving interest, of course, since I’m an American composer. But it’s useful to think about. It was little more than 100 years ago that composers started writing music that sounded “American,” tran­scend­ing the Euro­cen­tric pastiches of earlier efforts. It’s a recent enough occur­rence that one can still imagine differ­ent paths composers could’ve taken, could still take. In this spirit, Upstate Obscura is a kind of thought exper­i­ment set in the primor­dial ooze of the 19th century, when American artists mostly looked to repli­cate European models. John Vander­lyn was one such artist—an ambi­tious painter from Kingston, New York, who spent years studying in Paris. 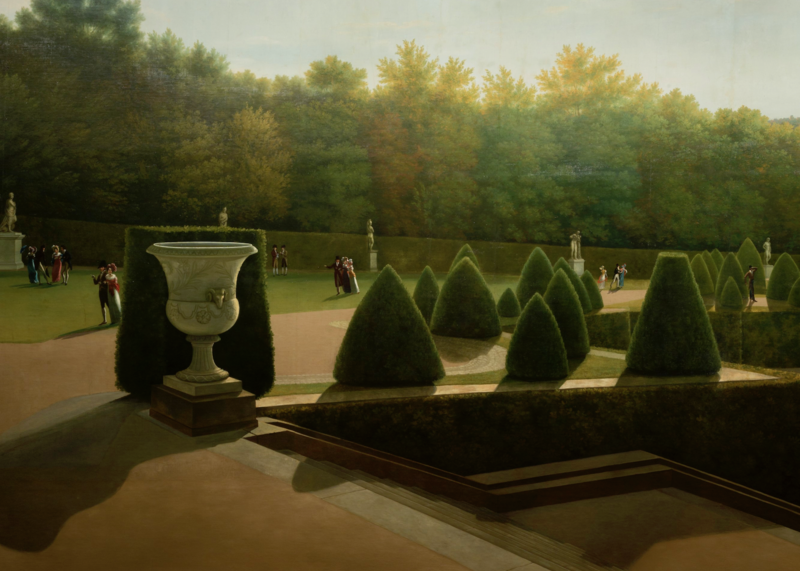 Upon his return, he formed a grand (and misguided) plan to paint a gigantic panoramic scene of the palace and gardens of Versailles, and to exhibit the 360-degree work inside a rotunda of his own construc­tion, in the hope of securing his repu­ta­tion and fortune. But Amer­i­cans had little interest in paying to see a replica of a fancy French palace; the work was simul­ta­ne­ously too real­is­tic and too abstract to cause anything but befud­dle­ment among the Kingsto­ni­ans of its day. The panorama was a finan­cial failure and faded into obscu­rity until the 1950s, when the Metro­pol­i­tan Museum built a passage­way in the American Wing to display it. I stumbled on it there a few years ago (if one can speak of “stum­bling” on a thing so massive). I was taken aback by its sheer scale, and also by the tricky way it uses perspec­tive to convey even greater scale. But the overall effect of the painting is ambigu­ous; it’s hyper-detailed, yet curi­ously abstract; perfectly utopian, but with a sombre, melan­choly cast. The light in the painting is a flat upstate New York light, and the viewer feels alone in it, ignored by the well-dressed spec­ta­tors milling about. 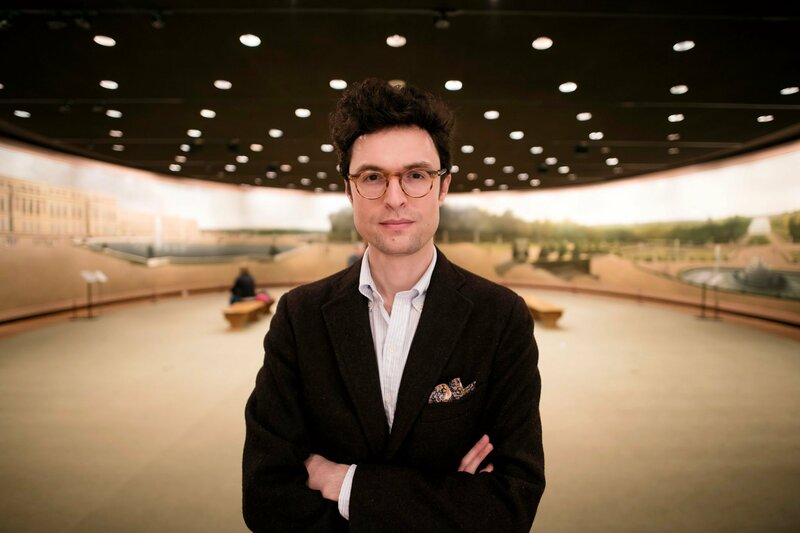 In taking on a quin­tes­sen­tially French subject, Vander­lyn somehow came up with some­thing that feels American; it seems to regard Versailles at a bemused distance, with that char­ac­ter­is­ti­cally American distrust of anything unnec­es­sar­ily fanciful. As a New Englan­der who has never been to Versailles (Vanderlyn’s intended audience, after all), I iden­ti­fied with this out-of-place­ness. It was that uncanny sense of contra­dic­tion and tension in the painting that started me thinking about it as the subject for a piece of music. My plan was to start with frag­ments of musical ornament from the French Baroque tradition—like loose chunks of masonry—and stretch them out until they no longer felt like orna­ments. All the melodic material in Upstate Obscura is gener­ated this way. 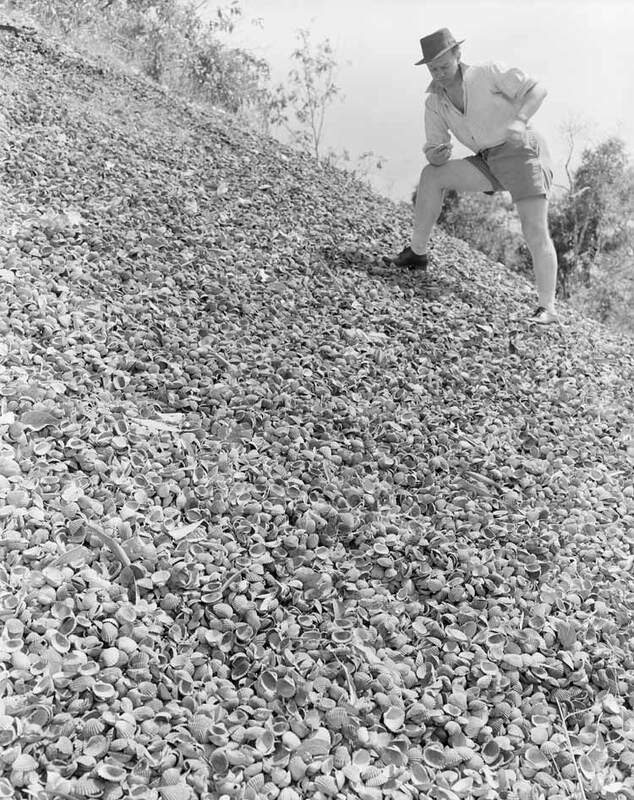 Each movement takes those stretched-out frag­ments and points them in differ­ent direc­tions; I wanted to use register, and tran­si­tions between regis­ters, as a way to trans­late the forced perspec­tive of the panorama into a sonic illusion of physical space. The solo cello moves through these regis­ters, just as a viewer might explore a virtual world—at times wander­ing, at times with purpose. The first movement, “Valley of strange shapes,” finds the soloist moving slowly down a grand, sweeping stair­case, past stylized musical objects played by the orches­tra. The second finds the same protag­o­nist lost in a topiary maze, or hall of mirrors; the music keeps restart­ing, turning back on itself, refract­ing into smaller reflec­tions. “Vanish­ing Point,” an extended coda, turns its gaze upwards, towards an indis­tinct horizon. At the Vander­lyn panorama at the Met. Photo by Karsten Moran for the New York Times. Update 4/20/18: The New York Times published a detailed look (with audio excerpts from a rehearsal) at how the Vander­lyn panorama relates to Upstate Obscura. I’m playing a solo piano recital in New York next week, my first such concert in a little while. It’s at Barge­mu­sic on Friday, March 9 at 8.00 PM (a reliable, old-fash­ioned time for a piano recital). Here’s a little blurb I wrote about the same program for San Fran­cisco Perfor­mances. About to perform Stravinsky’s Rite of Spring on two pianos at the Guildhall’s Milton Court tonight with David Kaplan, and remem­bered this journal entry which I wrote for Carolina Perform­ing Arts on the occasion of the piece’s centen­nial. Since it’s not avail­able online anymore, I thought I’d repub­lish it here. When I was in high school, a friend of mine got the opening bars of the Rite of Spring tattooed on his calf. This struck me as an entirely appro­pri­ate response to the piece, for several reasons. I can imagine that making a small sacri­fice (a percent­age of skin) at the altar of Stravin­sky could only be good for one’s compo­si­tional devel­op­ment. So much the better that it involved trans­gres­sion of the law (I suspect my friend was not 18 at the time). And the Rite reflected its own badassery on what is no longer a partic­u­larly badass act. For the Rite of Spring is a completely badass piece of music. It’s a musical superhero’s first display of his full powers. This brings with it a satis­fy­ing type of emotional thrill: it’s Iron Man strap­ping on his suit and blasting off for the first time, and our viscera rise in our throats along with him. We forgive the brash­ness, the arro­gance, because in this case it is truly deserved: I listen to the century-old piece of music and think, I could not do that. What makes matters worse is the poverty of Stravinsky’s mate­ri­als. 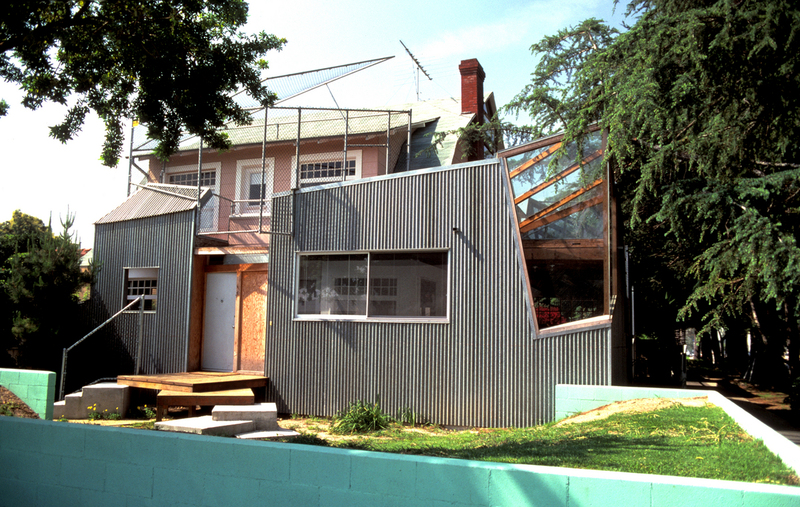 Like Frank Gehry’s chain-link fence house, it’s employ­ing a brutal kind of virtu­os­ity. How did he achieve so improb­a­bly much with so little? Here’s what I mean: try whistling some of the tunes from the Rite to yourself. Not exactly Brahms’s first symphony, are they? Stravinsky’s melodies tend to encom­pass four or five pitches, not really going anyplace, but circling around the same figu­ra­tions in odd, gimpy-sounding group­ings. Again, it feels almost insolent: look what I can do with this singu­larly unpromis­ing handful of notes. Stravin­sky wields the orches­tra like a danger­ous weapon, with a finesse that belies the savagery of its sound. An incred­i­ble percent­age of the piece is scored tutti, even in quiet passages, which make them all the more terrifying—a giant chorus of whispers and mutter­ing. The indi­vid­ual parts are also remark­ably inter­est­ing and involved, an especial accom­plish­ment consid­er­ing the vast instru­men­tal forces employed. A quick perusal of the score confirms that, yes, the second piccolo is absolutely neces­sary, and kept quite busy at that; same goes for the second bass clarinet, the second contra­bas­soon, horns five through eight, and so on. There’s a profli­gacy to this sort of ensemble, for certain, but here it’s not a case of mega­lo­ma­nia. Each timbre is thor­oughly uncon­ven­tional, care­fully modu­lated, under­scored, or subverted—it’s not a piece you can hear in your head if you look at the score, because the instru­ments are used in such unex­pected ways. If all this sounds like a rather cold, unemo­tional piece, it’s because, in a way, it is. Nothing is tradi­tion­ally ‘expres­sive’, in the romantic sense, so there’s no heroic journey from dark to light (or vice versa). Nor is there the kind of harmonic telos that guides a listener through, say, a Mahler symphony. Instead, the dramatic struc­ture relies much more heavily on timing, repe­ti­tion, and layering. In this way the Rite works much more like a piece of mini­mal­ist or post-mini­mal­ist music: modular, not devel­op­men­tal. It’s a weirdly short distance from here to Steve Reich’s Drumming (as well as a short jaunt in the opposite direc­tion, to Elliott Carter). I imagine this was what truly disturbed 1912 audi­ences, even if the sour disso­nances and brash, multi-layered timbres were the more obvious scandal. All these elements would figure impor­tantly in Stravinsky’s later works, but it’s easy to forget just how present they are in the Rite, for all of its sound and fury. But there is also some­thing which, to me, sets the Rite apart from much Stravinsky’s music—I find it extra­or­di­nar­ily moving. I don’t mean this as a slight to those other pieces; I love and admire them, but in a more intel­lec­tual, reserved way. Faced with the Rite I am power­less to analyze. Perhaps this has some­thing to do with the fact that I’ve been listen­ing to it for quite a long time; it can be diffi­cult to gain an adult-like perspec­tive on the things which defined my child­hood and adoles­cence, almost as if I’m still listen­ing to that music with 14-year-old ears. I first heard the Rite listen­ing to the radio in the car with my dad, driving home from school. He wasn’t quite sure what it was but he thought it might be the Rite of Spring. Over the radio it sounded like a wild but not at all disagree­able tangle of notes; the colors and the hugeness weren’t lost in trans­la­tion, but I could tell that they were being hemmed in. I bought the Abaddo record­ing on my next trip to New York, at the Barnes & Noble across from Juil­liard. It still sounded like a thicket, albeit one I grew familiar with little by little. And after awhile, it began to take that powerful emotional hold. Its affect on me has only inten­si­fied over the years; the piece has the odd property of getting stronger with age and repeated exposure. It doesn’t matter if I’m listen­ing through small, tinny speakers, as I was that first time, or to a great orches­tra live in a concert hall, or watching a minus­cule version of the ballet on my iPhone—I find the Rite of Spring hypnotic and completely immo­bi­liz­ing. 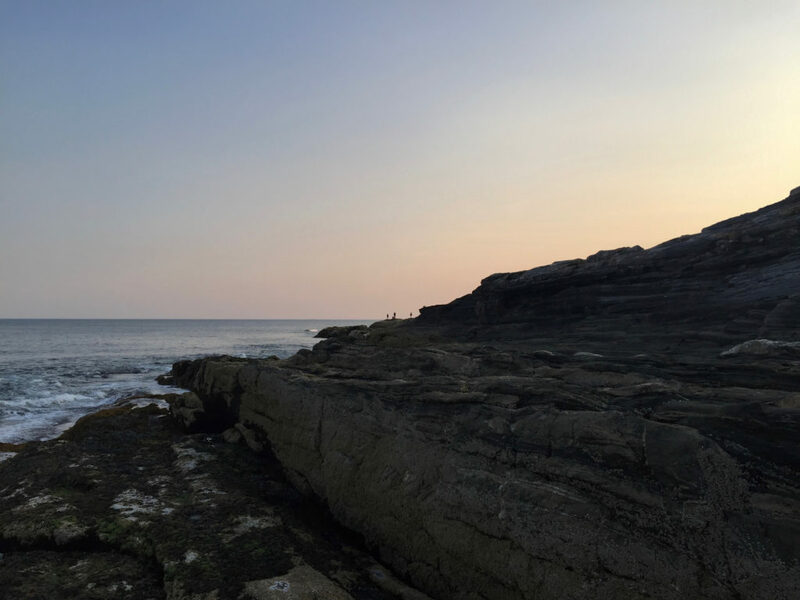 Another summer draws to a close; here’s a mawkish seascape to commem­o­rate the occasion. I spent mine finish­ing one piece (Every­thing Happens So Much, for the Boston Symphony) and starting another (a yet-to-be-titled two piano concerto). I prac­ticed little and gardened abor­tively (you should see how well I do in the winter). A new 2016–17 season calendar is up, too, with bold new format­ting that’s kid tested, mother approved. Closing in fast: a lovely new concerto for piano and chamber orches­tra that Ingram Marshall’s written me. The later part of the season will fill out as things get confirmed. I’m partic­u­larly excited about a series I’ll be present­ing at National Sawdust, and a couple of addi­tional events in London. I was happy to read Timo’s response to David Allen’s article; it put his comments from the article in context, and revealed that he and I have much common ground in how we think about these “response pieces” (I’m not a big fan of the word “sequel”, here). Because much of the article focused on my Beethoven/5 Project, of which The Blind Banister is the first fruit, and because my own aspi­ra­tions in embark­ing on the project did not really make it into the piece, I’m happy to have this oppor­tu­nity to clarify a few points. Early in the article, Mr. Allen asks: “Why this, and why now? After all, in an ideal world composers would be allowed to write whatever they please.” And soon after, he boils it down to this: “The core assump­tion is that many, if not most, clas­si­cal concert­go­ers have a built-in distaste toward modern music.” While I certainly cannot speak for every performer or concert program­mer, I can say that that is not my “core assump­tion”, nor my moti­va­tion in solic­it­ing new music that is, somehow, inspired by old music. I’ve often felt troubled by the way the clas­si­cal world segre­gates new music from old. Ensem­bles and present­ing orga­ni­za­tions devoted exclu­sively to new music provide a vital service—facilitating the creation and giving bril­liant perfor­mances of new work in a volume that would be impos­si­ble without them. But the notion of “new music” as its own genre, and the atten­dant impli­ca­tion that it lacks a deep connec­tion to music that was written 20, 50, and 200 years ago, is distress­ing to me. It is a notion that flatters neither old nor new music. To my ears, anyway, a truly great perfor­mance of Mozart or Beethoven will always be relevant, but it’s deeply danger­ous to think of them as exem­plars of an art form that died in 1917 after a long illness. And while yes, in an ideal world, composers would be able to write whatever they please, I hardly think that that ideal world would be some sort of vacuum. A piece of music’s rela­tion­ship to the past needn’t be explicit, or admiring, but I have a hard time imag­in­ing that any piece worth listen­ing to would be discon­nected from it. So, that was the genesis of Beethoven/5: my desire for everyone involved—composer, performer, and listener—to think of old and new music as existing on the same contin­uum. And why Beethoven specif­i­cally? Because composers have been using him as inspi­ra­tion, source material, and light­ning rod since his death nearly 200 years ago. Schubert’s A Major Piano Sonata (Beethoven Op. 31 no. 1), Mendelssohn’s String Quartet Op. 13 (Op. 132), Schumann’s Fantasy (An die ferne Geliebte), and John Adams’s Absolute Jest (several of the late string quartets) are just the first four examples to occur to me. Given that composers have been wrestling with him for close to two centuries, I thought that asking a diverse and fasci­nat­ing group of composers to think about Beethoven was sure to produce diverse and fasci­nat­ing results. That those four works I cited have roots in Beethoven’s music is not debat­able. But equally, those roots are not the reason those pieces are being performed again and again—if they weren’t capti­vat­ing on their own merits, their antecedents wouldn’t make them so. And that is the thinking I’ve applied to Beethoven/5: I want the composers to take the Beethoven concerti as a starting point, and in their first airings, at least, I want them to be heard in that context. But beyond that, I’ve spec­i­fied nothing—I haven’t asked for the works to contain a quota­tion, or resemble the Beethoven in length, or form, or any other partic­u­lar. And I greatly look forward to the day on which I sit in the audience and listen to The Blind Banister played by another pianist, in the context of a completely differ­ent program. The specifics of the commis­sion will no longer matter; the work will have joined several hundred years of concerto reper­toire. And if a composer is in that audience as well, perhaps The Blind Banister will itself provide the germ for a new piece of music. 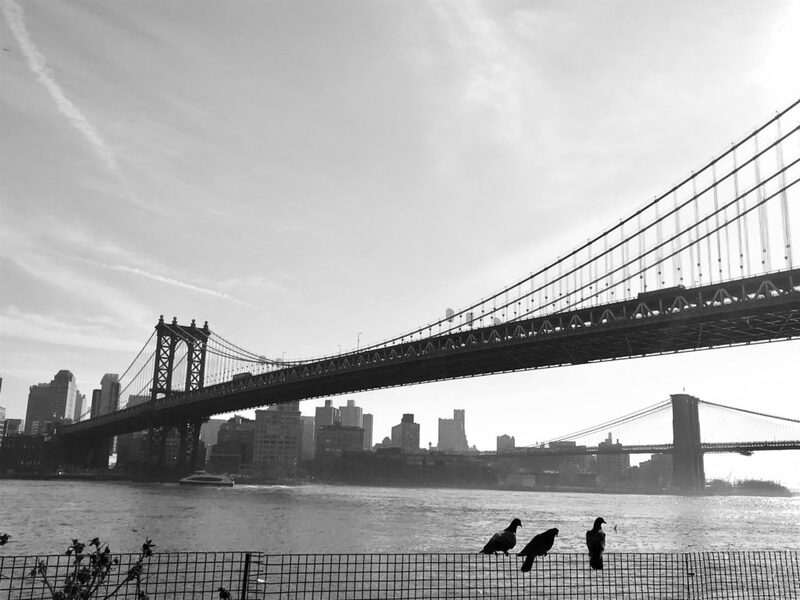 To me, that isn’t inertia, but artistic regen­er­a­tion: a key compo­nent of my ideal world. David Allen’s article in this weekend’s New York Times looks at “sequel” compo­si­tions, a topic well worth explor­ing. I’m using “sequels” to mean: pieces written explic­itly as compan­ions to preex­ist­ing, often well-known, works. The article, in which I’m quoted a couple of times, portrays sequels as a perni­cious program­ming trend initi­ated mainly by conser­v­a­tive admin­is­tra­tors, afraid to scare off their audi­ences with anything truly “new”. But I think the real story is some­thing quite a bit more nuanced. When I was just starting to write music, the impulse grew out of my piano playing. My early pieces were imita­tive of the music I admired and knew best: Brahms, Ravel, Prokofiev, Beethoven, Copland. This is how any anybody starts writing music—pick a template you like and fill in your own notes. 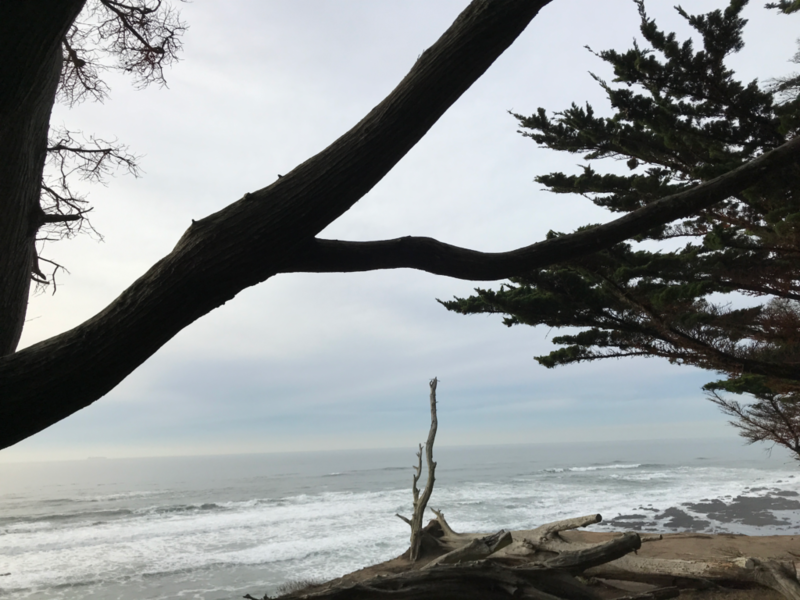 As my knowl­edge of the world (musical and other­wise) increased, so did my confi­dence to start design­ing my own templates, taking charge of the bones my pieces. I’ve always found this process extremely interesting—the trans­for­ma­tion of raw mate­ri­als drawn from the great heap of music history into some­thing totally new. So writing musical compan­ions was some­thing I orig­i­nally did of my own volition and became somewhat known for, which resulted in commis­sions to write more such pieces. As present count, 19 of my fifty-some­thing pieces have histor­i­cal antecedents, begin­ning 10 years ago with I Found it in the Woods, which takes two chords from Brahms’s A major violin sonata as its gener­a­tive material. I’ve since used several differ­ent compo­si­tional processes to refer to, learn from, or simply have a good time with preex­ist­ing music: Auster­ity Measures and I Found it by the Sea work back­wards, finding their way to the source material through layers of my own vari­a­tions; my “re-compo­si­tion” of Mozart’s Coro­na­tion concerto imposes my own music directly on top of its source; the Piano Quintet and The Blind Banister abstract Schumann and Beethoven, through oblique struc­tural refer­ences rather than outright quota­tion. Writing these pieces has not been an exercise in pastiche or post­mod­ernism, but rather an integral part of my compo­si­tional development—investigating distant connec­tions, filling in the space between. I also think the article didn’t give a true sense of what it might be like actually to write such a piece of music. Simply working in the clas­si­cal music tradi­tion is, for me, a great source of material (by which I mean: writing detailed instruc­tions in a document which is given to perform­ers, who then follow the instruc­tions, produc­ing a version of my piece). And part of this is acknowl­edg­ing that people have been making music in this strange, round­about way for a thousand years. So it’s under­stand­able to want to look back­wards once in awhile, maybe now espe­cially, as the history-renounc­ing tele­ol­ogy of Modernism recedes. But is it a kind of pander­ing? I don’t think it’s pander­ing to think about your audience now and then (and I know that by saying that, I’ll have lost a certain number of the people who read this). Any music can pander—if not to audi­ences, then to grant panels or tenure commit­tees. Simply putting new music on the same program as Beethoven may not be enough to convince audi­ences of their common­al­ity; a well-consid­ered response can show without telling. The context for my quote in the Times about nearing “the end of my rope” was in discussing whether or not these commis­sions have become a hack­neyed program­ming trend. As with all trends, there are of course thought­less and bad examples. Not every living composer can respond to every long-dead one and expect to illu­mi­nate. Perhaps not every master­piece of the past demands a response. Winking quota­tions or musical inside jokes are a blind alley, a self-appre­cia­tive pat on the back. And an overdose of nostal­gia for lost musical idylls tends merely to remind us who was excluded from the supposed “golden age”—women and minori­ties, who are still hugely under­rep­re­sented in contem­po­rary music commis­sion­ing. David Allen’s article failed to differ­en­ti­ate among the forms of responses composers have written, as well as the condi­tions under which they might succeed or fail. If composers were in fact being talked into writing certain kinds of pieces by new-music-wary orches­tral admin­is­tra­tors, as the article seems to imply, this would indeed have a chilling effect on creative freedom in our field. But in my own expe­ri­ence, this couldn’t be further from the case. For The Blind Banister, the pianist Jonathan Biss approached me with an idea for a project that he had devised inde­pen­dently (the Beethoven/5 commis­sions). So I had one more piece of infor­ma­tion than I usually do when begin­ning a piece: the soloist, the instru­men­ta­tion, the duration, plus Beethoven’s second concerto. A handful of orches­tras signed on to commis­sion it (on the strength of their faith in Jonathan, more than anything else), the piece was premiered, another small handful of orches­tras decided to program it (one, auda­ciously, Beethoven-less! )—and so a new piece of music makes its tenta­tive way in the world. Jonathan Biss will respond with his perspec­tive as a performer and commis­sioner later this week; watch this space. News flash: I still play the piano some­times! Here’s a recent perfor­mance of Chopin’s glori­ously slippery Polon­aise-Fantasie, and a few Chopin-adjacent notes, recorded at the Green Space last month. All smiles here because we just played Carnegie Hall and nobody threw a tomato. 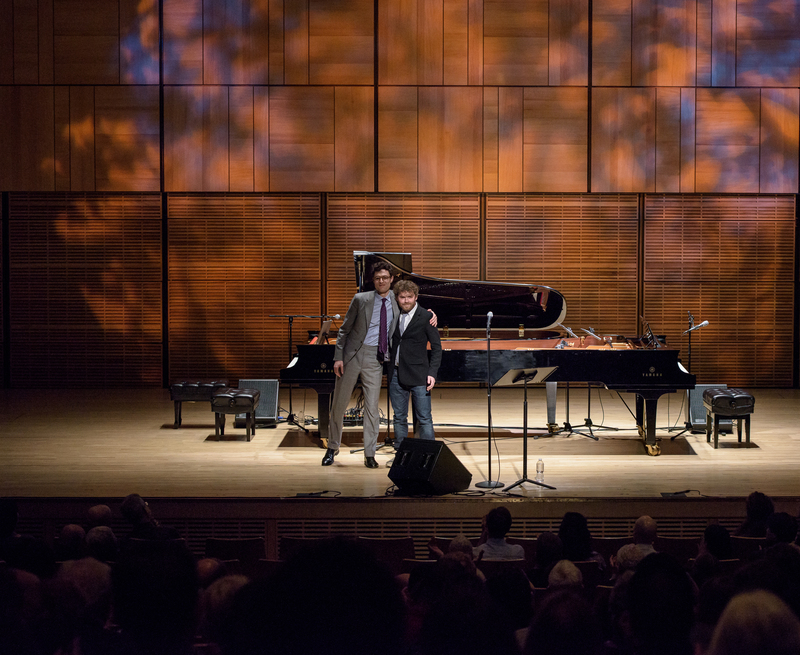 To cele­brate our impend­ing tour together, Gabriel Kahane and I have made an album (or is it the other way around?) called Dream Job. 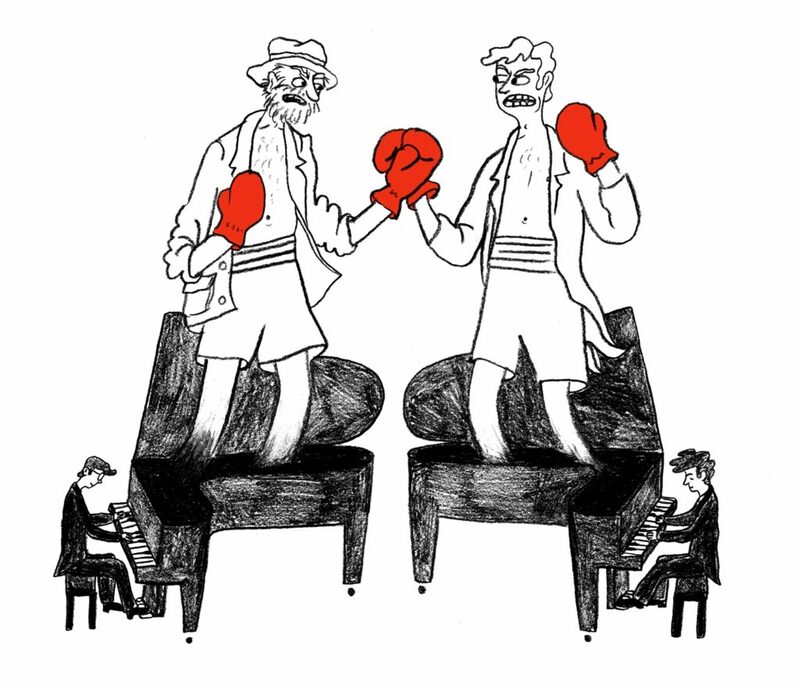 On it, we attempt to summon the spirits of Charles Ives & Benjamin Britten, leading to inevitable fisticuffs (as imagined by illus­tra­tor Hallie Bateman). It will be avail­able Friday, April 1 to order (digi­tally or card­board­ally) from Gabe’s Bandcamp page. In the meantime, you can listen to two songs: Gabe’s title track, and my To Whom it May Concern. Head over to Bandcamp to see the full track­list.